Production environments often present size constraints, limiting the choice of optics and causing the user to trade optical performance for size. 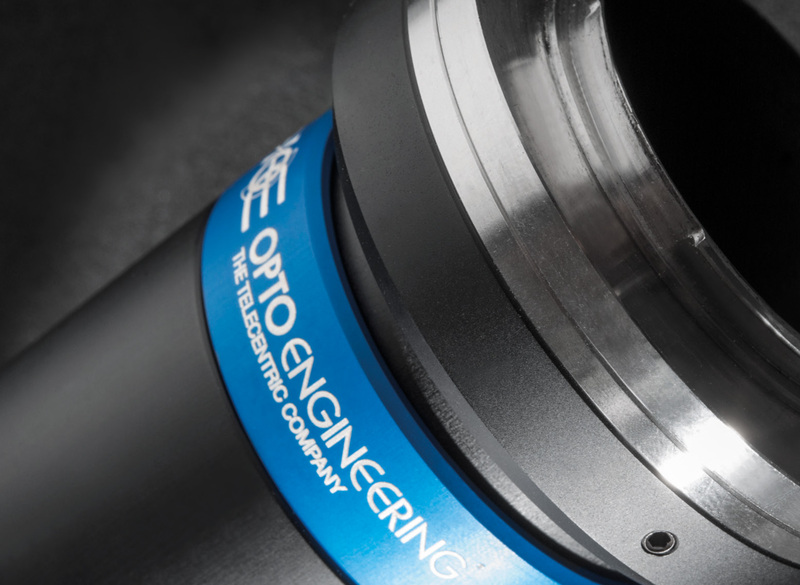 CMMR series is the Opto Engineering® answer to tight space integration issues, opening new installation options for your application. CMMR series is a family of first surface mirrors designed for our telecentric lenses and illuminators which enable the lens to image the sample at 90° with respect to the optical axis. These right-angle mirrors can also be used together with collimated illuminators, reflecting incident rays coming from the light source at 90° angle. 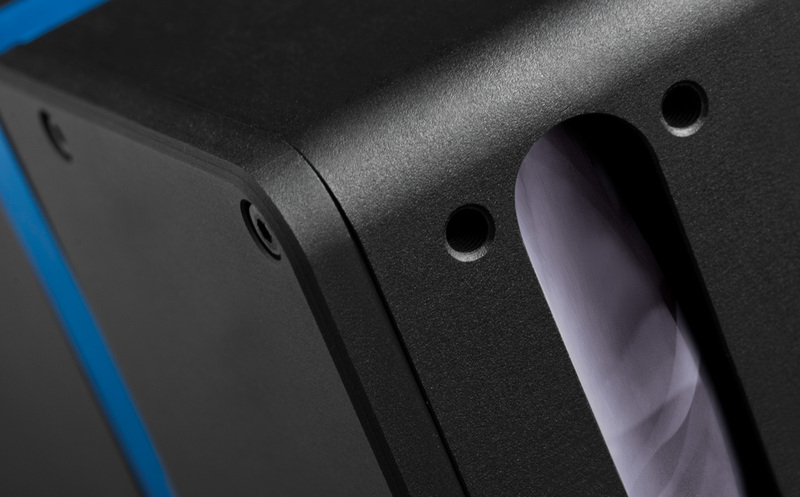 CMMR series features a precise locking knob that allows for easy and secure clamping. In addition, compatible protective windows are available. 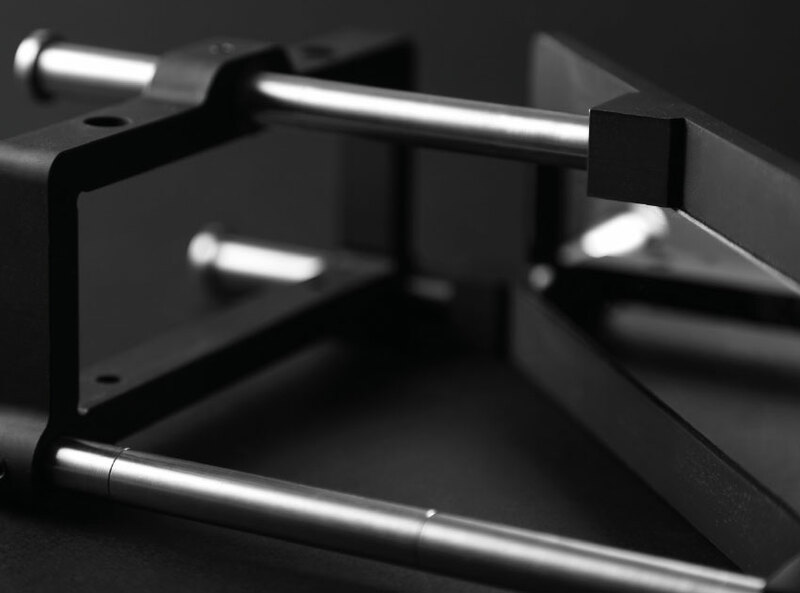 Whenever overall system dimension and precision alignment are critical factors for your application, CMMR series is the ideal choice. 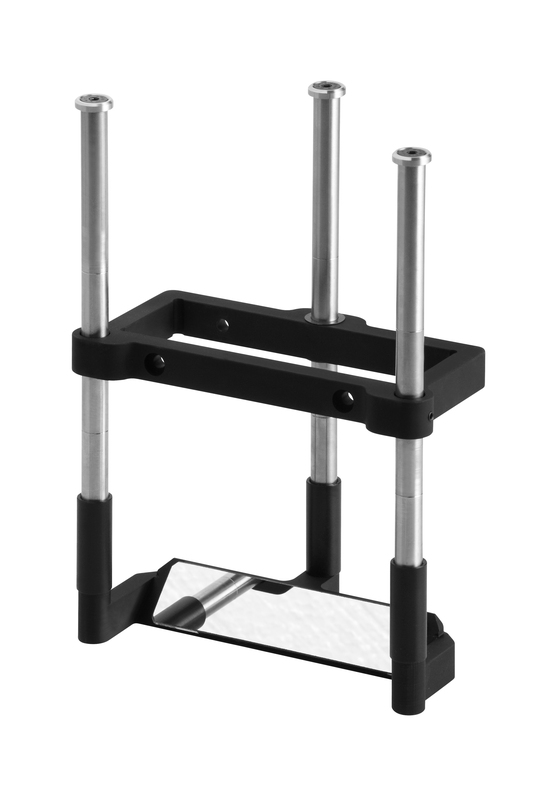 Easy and secure clamping system. Compatible with telecentric lenses and illuminators. Additional clamping mechanics are required to adequately support combination of CMMR with telecentric lenses and illuminators. CMHO series clamping mechanics can be used prior to verification of mechanical compatibility (see CMHO series mechanical drawings available online). CMHO is not compatible with the combination of the following two products: CMMR and TC13xxx. -V stands for Vertical bend, -L stands for Lateral bend. See drawings for details about deviation axis orientation. Normal reflectance > 98% - bandwidth: 430-670 nm. CMMR mirror combined with a telecentric lens. CMMR mirror combined with a telecentric illuminator. 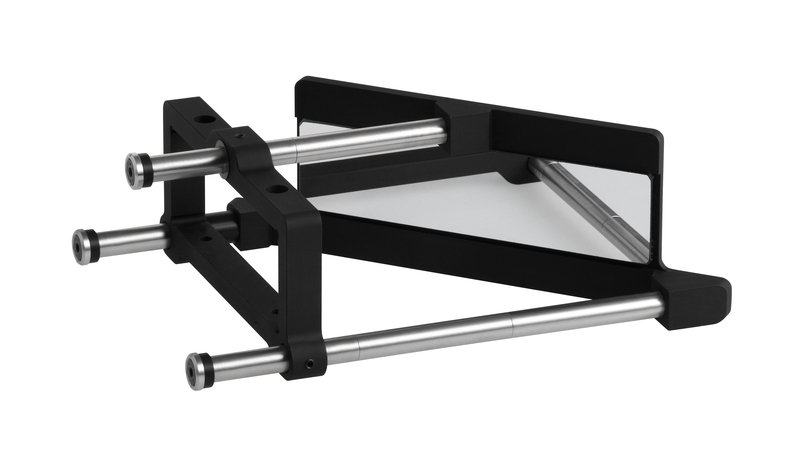 CMMR4K are 45° first surface mirrors that produce a right angle bend of the light path. 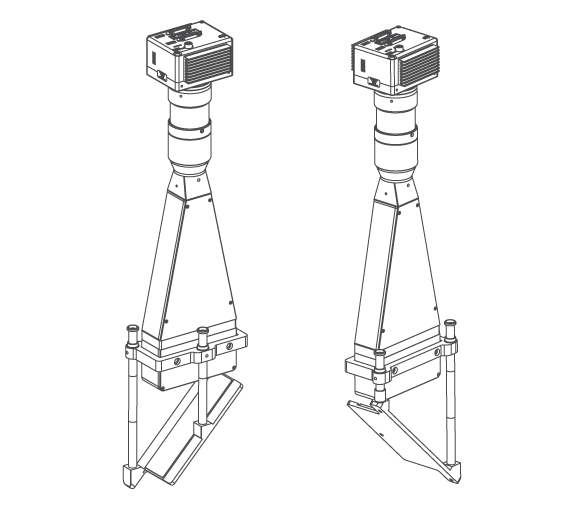 CMMR4K are available in two versions: -V and -L, respectively bending the light rays vertically (either upwards or downwards) or laterally (either to the left or the right). 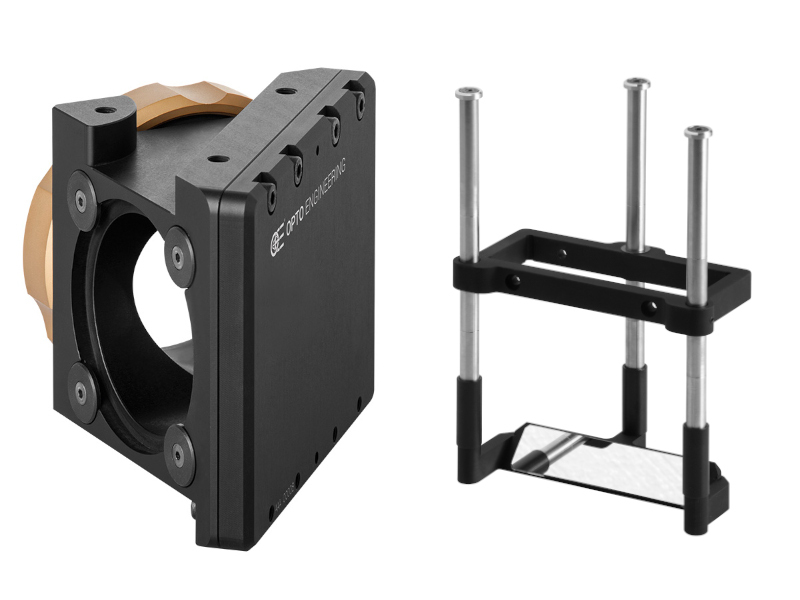 Additionally, the design of the CMMR4K series allows the user to flexibly adjust the distance between the mirror and the front end of TC4K/LTCL4K optics. Refer to the schematics for further details. 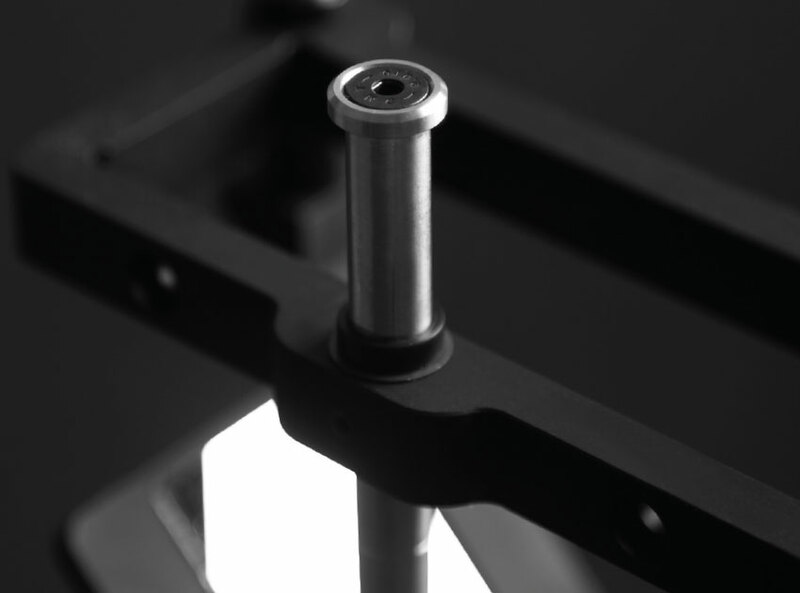 CMMR4K-V bends the light rays vertically. CMMR4K-L bends the light rays laterally.